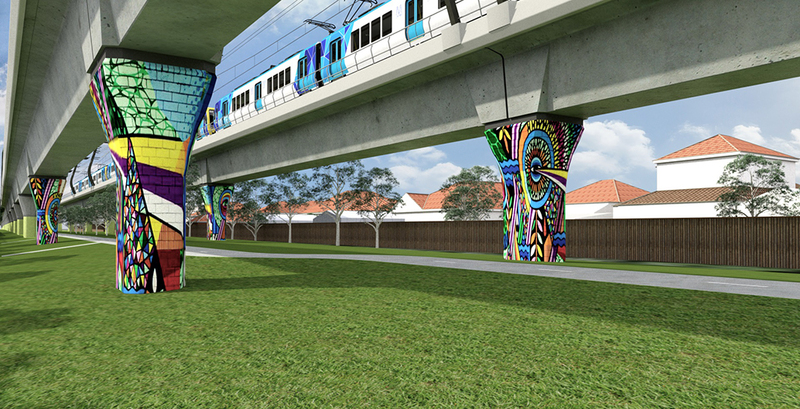 Controversy has beset the development of elevated rail infrastructure in Melbourne’s south east. The project, however, promises to bring with it a community park the size of 11 MCGs, which some residents hope will make for leafier, better connected communities. 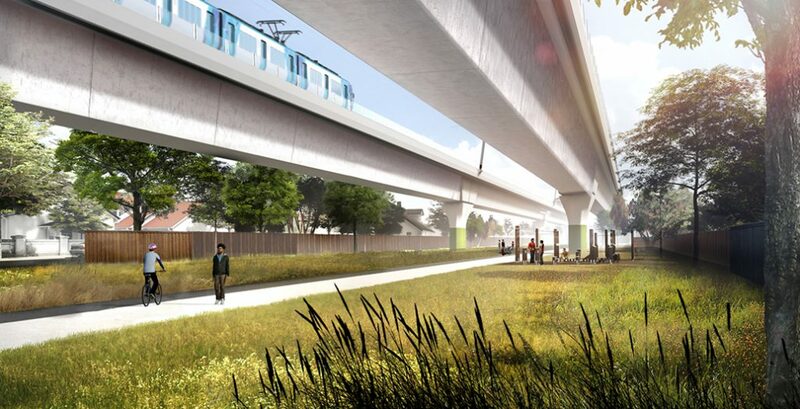 The construction of an elevated rail line between Caulfield and Dandenong in Melbourne promises to open 225,000sqm of land for parks and sporting facilities. While final plans for the parklands have yet to be released, consultation with residents as to what form these might take has identified high demand for some surprising amenities, including native plantings and an outdoor art gallery. Residents living along the Caulfield and Dandenong rail line will have “the equivalent of 11 MCGs at their doorstep” according to Zeljko Dobrilovic, the senior project manager at the Level Crossings Removal Authority (LXRA). The train line has divided communities for over 100 years but these park lands will provide an opportunity to reconnect communities across the rail corridor while enabling greater access to other amenities such as shops and train stations, he said. The LXRA has launched several surveys to get residents’ opinions on a range of issues, from the type of vegetation they want to plant to the type of facilities they want in it. For instance, 84 percent of respondents backed the idea of an outdoor gallery in the park in the first survey, 80 percent supported the list of native plant species to be grown in the park during the second survey, and 97 percent are in favour of outdoor fitness stations and bike facilities in the third survey, which is ongoing. The fourth survey will focus on “activation spaces”, areas where recreational facilities like barbeques, play equipment and fitness structures will be installed, and their use, while the final survey will be about naming the shared user path. An independent Community Open Space Expert Panel is currently working with residents between Caulfield and Dandenong to oversee plans for the open space and to ensure that local knowledge is incorporated into the final designs. The panel is chaired by Tim Entwisle, chief executive of the Royal Botanic Gardens, and composed of local councils, community representatives, Bicycle Network Victoria, Victoria Police and the Office of the Victorian Government Architect. Landscape architecture practice Aspect Studios are in charge of designing the project once final submissions are made. 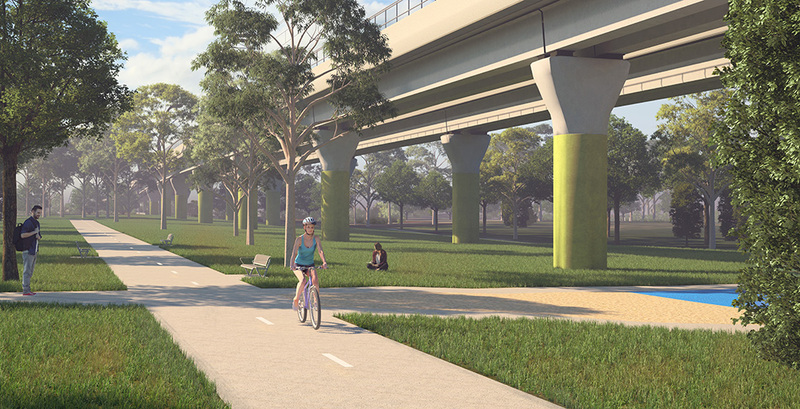 Residents’ suggestions have ranged from specific questions, such as the looking after the heritage of Murrumbeena station and road entrances, through to broad ideas about the workings of the shared user path. Entwisle says the residents are interested in reaping all the advantages of having an elevated rail system, and that the presence of long linear parks where people can walk and cycle is something of a rarity in Melbourne, except around rivers. “One of the advantages of an elevated rail system is that we can plant more trees. There is certainly an interest in having more open space and an interest in areas that are active and safe for residents. Residents are also interested in having car parking so they want some of the areas to be reserved for that,” he told Foreground. 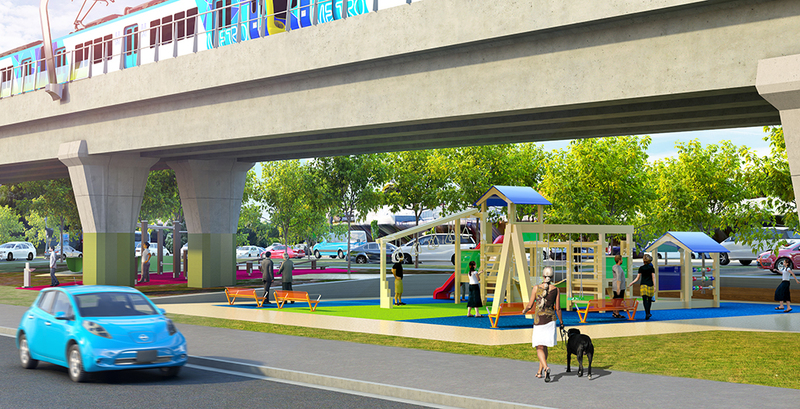 Some councils along the Frankston line have already successfully resisted the elevated rail plans. Trains passing through Cheltenham, Mentone, Edithvale and Bonbeach will run in rail trenches after the government did an about turn on the issue, possibly to avoid an electoral backlash according to some reports. A rail bridge is planned for Carrum and a “hybrid” version for Seaford, but it could end up costing more and taking longer as an environmental assessment of the Edithvale-Seaford area will have to be undertaken first. This also rules out the establishment of linear parkland in these areas that might have connected communities around the train line. For Dobrilovic, the park’s main environmental outcomes will be its water usage and the planting of thousands of trees, which would not have been possible if the train line ran through a ditch or trench. “We will be collecting rainwater from the elevated structure via its columns so that it can be used to irrigate the open space and plants. The rainwater run-off will be collected in tanks and reused for landscaping purposes,” he said in an interview to Foreground. The design of the open space will be finalised later this year and the project is due for completion by December 2018.